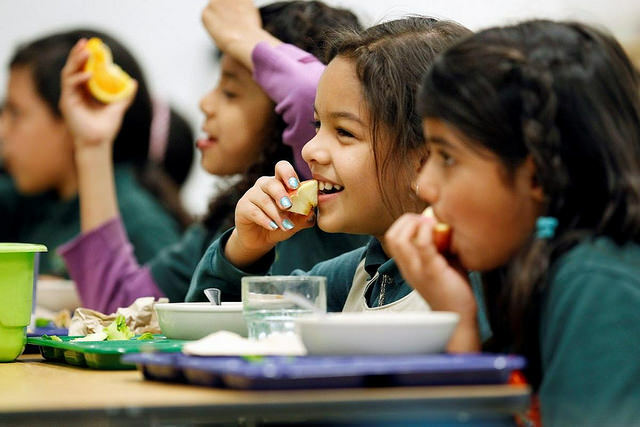 Nutrition is critical to helping kids reach their full potential. The first three years are especially important because your child's brain is growing. During the early years and beyond, ensuring your child consumes brain-boosting nutrients can help with concentration and performance in school, sports, music and more! (Photo credit: USDA via Flickr). Slow-release carbs such as whole grains, beans and vegetables provide a steady supply of glucose to the brain -- they are literally brain fuel! The fibre slows down the release of sugar so your child can focus throughout the day. Whole grains are also a great choice because they're rich in B vitamins which are needed for brain tissue growth and to create neurotransmitters, the messengers of the brain. Research shows that balanced blood sugar levels help kids concentrate better and perform well in school. Compare this to the impact of fast-release carbs like pop, candy, cookies and other sources of added sugar on your child's brain. The sugar will lead to a spike and drop in blood sugar, potentially causing hyperactivity and interrupting focus. Get kids used to whole grains early on so they're used to them and enjoy them. 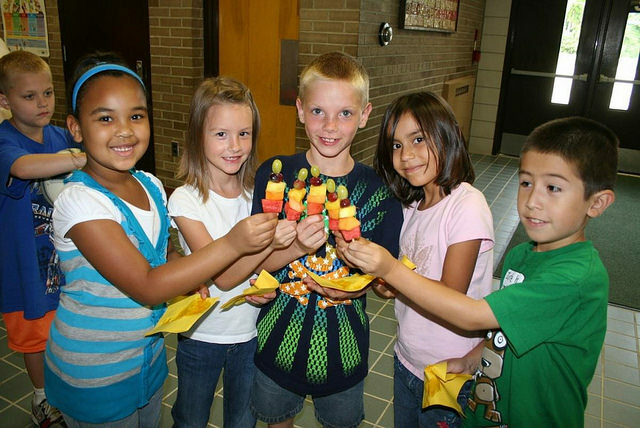 Smart snacks help growing kids get enough energy and provide a constant supply of fuel to the brain. This helps kids stay focused and improves memory so they can get the most out of their learning. Combine slow-release carbs with protein and healthy fats for the ultimate brain food. For an added brain-boost, add brightly coloured vegetables and fruits to every meal and snack for antioxidants that keep brain cells healthy. Kids need snacks in the morning and after school to help them power through recess, homework and after-school activities. You've heard probiotics are great for your digestion and immune system, but did you know that a healthy gut is needed for a healthy brain? Probiotics, good bacteria that promote a better balance of bacteria in the digestive tract, may boost brain function. Research suggests probiotics can also help manage depression and anxiety by changing brain chemistry. Changing the gut bacteria profile to be healthier has been shown to improve brain function in animal studies. New research is even suggesting probiotics could play a role in treating autism. Kids love yogurt drinks but they're low in probiotics and packed with added sugars. It's important to know that kids can benefit from a 100 per cent probiotic supplement just like adults and there are options designed for kids. 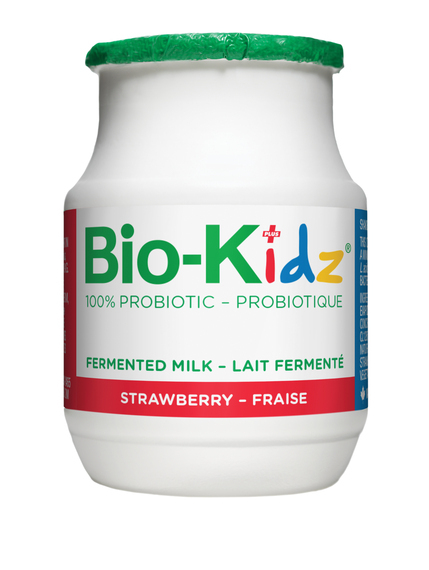 You can try a drinkable daily probiotic such as Bio-Kidz. It tastes like a yogurt drink but has 12.5 billion bacteria in a small kid-sized bottle. Other sources of probiotics that kids love include kefir and probiotic yogurt in smoothies or homemade popsicles. (Photo credit: Bio-K+. Used with permission). Iron deficiency is one of the most common deficiencies in Canadian children. Iron is needed for healthy brain development and plays a role in concentration and memory. Studies have shown that correcting iron deficiencies improves mental performance, focus and motor skills. Vegetarian iron sources are absorbed only half as well as iron that comes from animal sources. 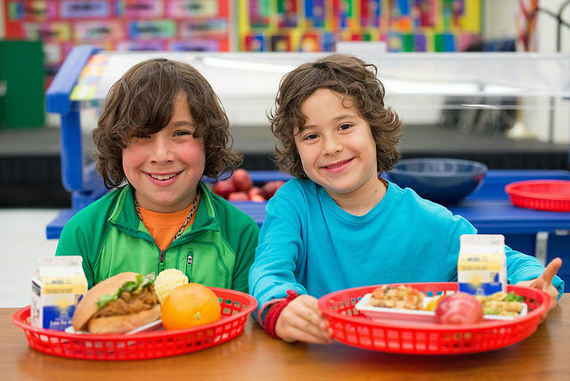 Vegetarian kids may need a multivitamin and mineral supplement to help them get enough iron. Omega-3 fatty acids DHA and EPA are needed for healthy brain development and brain function. 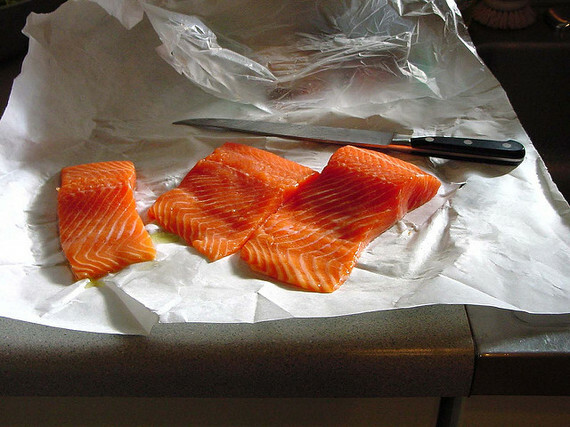 They're found in oily fish such as salmon, Arctic char and trout. Health Canada recommends kids and adults get two servings of oily fish a week to lower inflammation and prevent chronic disease. (Photo credit: Stephanie Lamphere via Flickr). Nuts and seeds such as walnuts, flax seeds and chia seeds provide ALA, another omega-3 fatty acid that keeps brain cells healthy. Almonds, peanuts and sunflower seeds have the added benefit of vitamin E, a powerful antioxidant that protects brain cells from inflammation. Many kids don't like fish, no matter how you prepare it. And swallowing capsules or taking a spoonful of liquid fish oil won't work with most kids. Omega-3 eggs are an option, but don't provide enough omega-3 fatty acids to justify the extra cost. You can try adding a flavoured omega-3 supplement to smoothies such as Barlean's Omega Swirl. It doesn't have a fishy taste or oily texture... kids (and adults) won't even know it's there! Have you added brain-boosting foods to your family's meals? Join the conversation on Facebook at 80 Twenty Nutrition! Disclosure: Christy received compensation from Bio-K+ for writing this article. All opinions are 100 per cent her own.